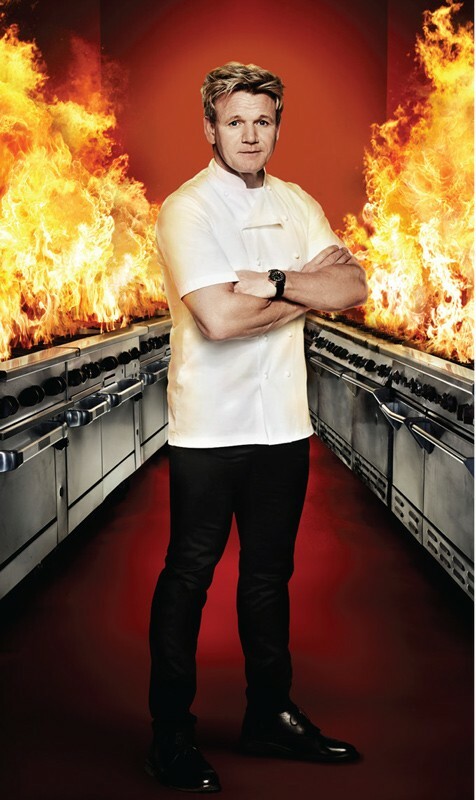 Following its fiery Dubai debut late last year, Gordon Ramsay’s Hell’s Kitchen has launched the aptly named Hellicious Friday Brunch at the brand-new venue, located in Caesars Palace Bluewaters Dubai. TAKING PLACE AT THE second global outpost of Hell’s Kitchen and first-of-its-kind in the Middle East, Hellicious Brunch will offer weekend diners the chance to dive in to an array of signature dishes, alongside a series of live cooking stations, alfresco popup stalls and live entertainment. Offering a dynamic combination of a la carte and interactive live stations, guests can expect a feast of the highest standards. 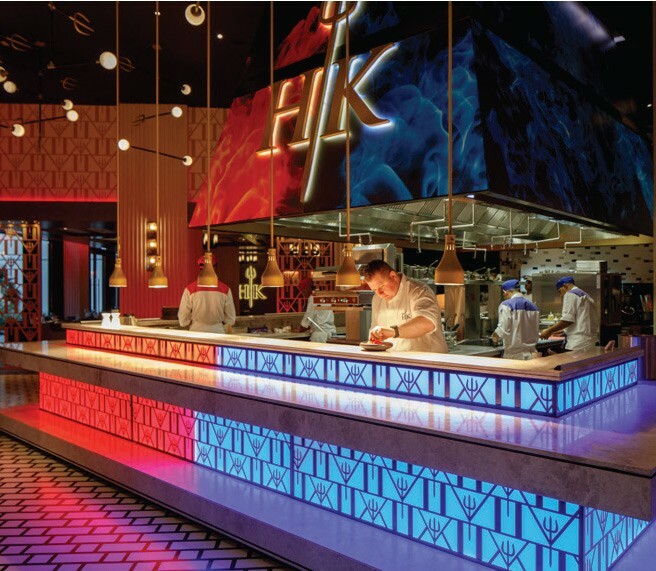 Manned by teams of red and blue, following in the footsteps of Ramsay’s hit TV show, live stations will include an array of beef, salmon and tuna tartare, an oyster tower and hot starters such as all-American brunch classic Chicken and Waffles, decadent Wagyu Meatballs and ‘HK’ signature Eggs in Purgatory. Served at the table to order with unlimited side dishes, mains will include the famous Beef Wellington, Crispy Skin Salmon and Mushroom and Goat Cheese Gnocchi, allowing guests to enjoy a full Hell’s Kitchen experience. Ending brunch on a suitably sweet note, the Hell’s Kitchen Hellicious Brunch is set to be the stuff of Dubai legend. Expect Sticky Toffee Pudding Pops, layers of the fluffiest cheesecake, feather light chocolate mousse and the most irresistible chocolate fountain in the city. In keeping with Caesars Palace Bluewaters Dubai’s Las Vegas legacy, the fun factor is turned up a notch with live entertainment. At brunch, things will take a decidedly British turn with a live.